I've been very remiss in posting my travels recently. I am in New Zealand, on the trip that inspired me to start this blog back in February. So the posts about some of the places I've been and the things I've been doing may be a bit out of order until I catch up. So... With my house leased out, kitties taken care of, "stuff" discarded and donated, I loaded up my car and headed south to Southern California, yet again, taking the get-there-quick route down I5. I was very lucky - the day after I left, the first winter storm came in and apparently, it has been frigid since then. I am very happy to be here, and not there where weather is a balmy 70-75 each day. Spending time with my son, Ryan is always a pleasure and we went off the California Science Center to see the Endeavour. It was my first visit to the Museum and I was wonderfully impressed. What a great place to take young children, or any age child, and show them the wonders of science. Although we went specifically to see the Shuttle, we peeked into some of the other exhibits. The innovative, interactive exhibits that cover ecosystems, science innovation and so much more. Just walking into the exhibits is fascinating, with floor-to-ceiling screens of giant bugs, birds and Ryan's least favorite - maggots! The Endeavour is awe-inspiring, situated in its own hanger, suspended not too high above our heads! Exhibits surround the Shuttle - you can see and touch a huge set of the landing wheels and, in answer to the question most asked astronauts, a fully-operational shuttle toilet and instructions how the astronauts, both men and women, have to use it. But of course there is the scientific information too. Entry to the main exhibits is free but as we were there, we bought IMAX tickets and we chose to see The Flight of the Butterflies. I was completely enthralled with the Monarchs, seeing their life cycle before my 3-D eyes, experiencing them almost colliding with me and sensing the breathe of air as they flew by. Absolutely wonderful, and I added their final destination in Reserva de la Biosfera Mariposa Monarca (Monarch Butterfly Biosphere Reserve) in Mexico to my bucket list! The California Science Center is open daily from 10 a.m. to 5 p.m. except for Thanksgiving, Christmas and New Year's Day. 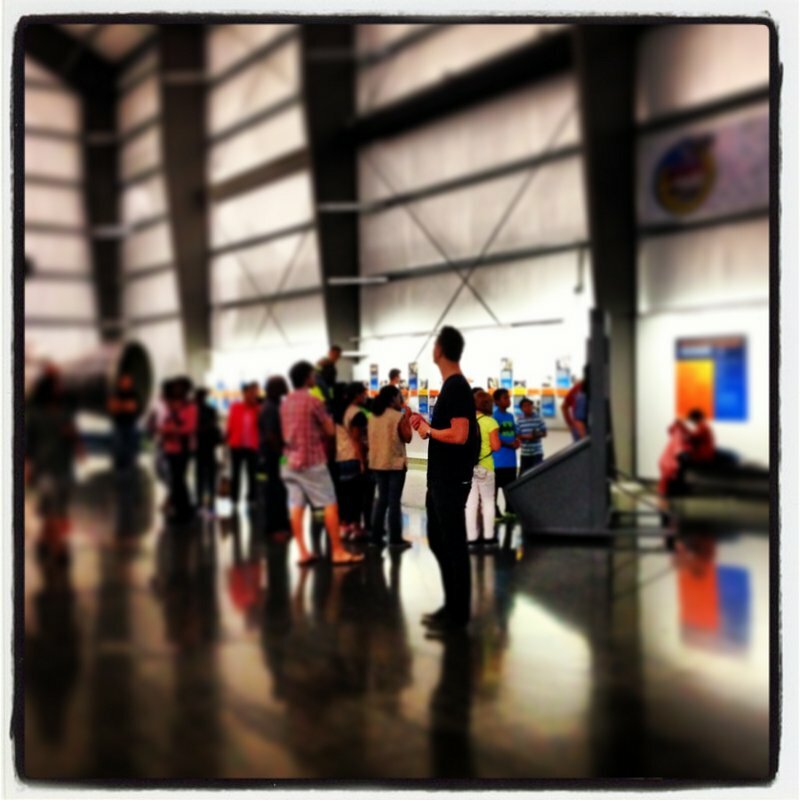 Admission to the Science Center's permanent exhibition galleries is FREE. IMAX admission prices vary depending on age.